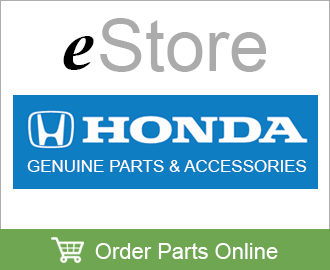 eStore is developed and supported by American Honda to assist consumers in purchasing Genuine Honda & Acura Parts and Accessories directly from their local participating Honda & Acura dealer, using the convenience of the Internet. Participating dealerships are independently owned and operated, and establish their final selling price. Though American Honda operates the eStore website and its integration to Owner Link / My Acura, and other Honda Corporate sites, your purchases are made from Zimmerman Honda, your authorized Honda dealer in the Quad Cities. Only Genuine Honda & Acura products are offered through eStore. Genuine Honda & Acura Parts and Accessories are engineered to the same exacting quality standards as the automobiles for which they are designed, providing factory installed fit, appearance and functionality tailored to each individual model. Currently, most accessories for Honda & Acura models from 2003 and newer are available. Additionally, most repair and maintenance parts for whatever year of Honda & Acura automobile model you may have are available through eStore. Free registration in eStore allows you to store your user profile for easy and quick checkout on future shopping visits. Once registered, you can return any time to view information on your order status and past order history.